The new Nexus One from Google is a powerful device; however, multiple reports indicate that the Nexus One does not have built-in support for synchronizing Microsoft Exchange calendar. This lack of Exchange calendar sync support has been verified by CNET.com in their reviews as well. CompanionLink solves this problem by synchronizing not only Outlook/Exchange calendar with Nexus One, but also contacts, tasks and notes. 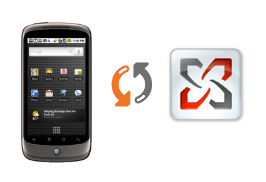 CompanionLink offers two methods to synchronize – secure USB sync and wireless sync via Google. “CompanionLink supplies a key missing link that ensures calendar information flows accurately from the corporate database to the phone,” says Wayland Bruns, CEO of CompanionLink Software. Visit www.companionlink.com/android for more info.